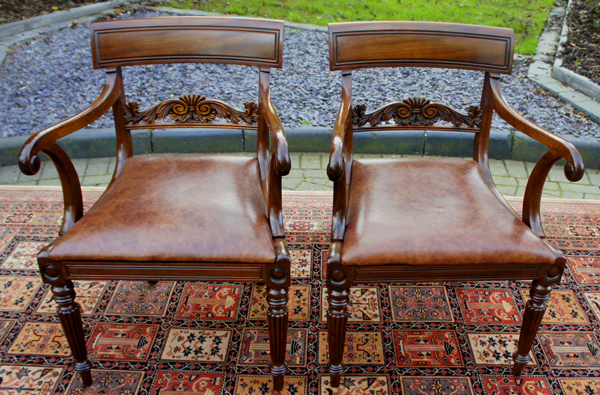 This handsome pair of antique mahogany open armchairs is of the best quality and in excellent condition. 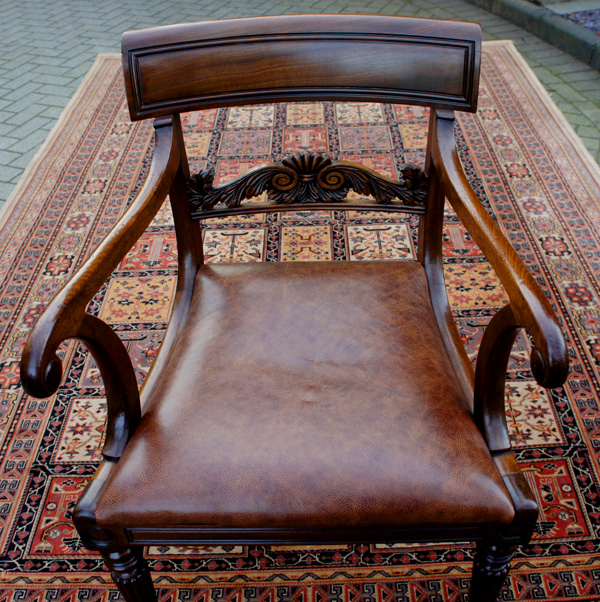 They have recently benefited from professional cleaning and wax polishing and the padded drop in-seat has been re-upholstered in a brown hide. 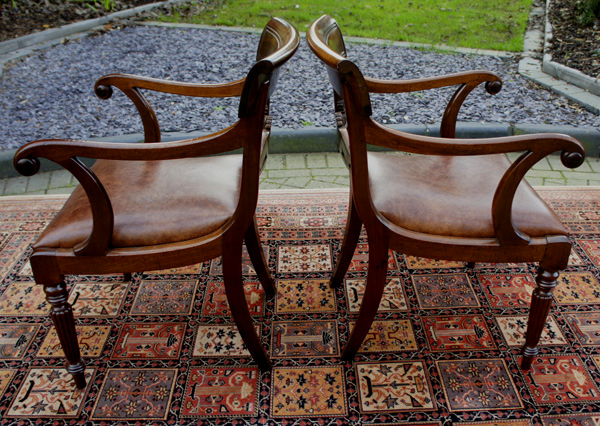 This handsome pair of antique mahogany open armchairs are of the best quality and in excellent condition. and the padded drop in-seat has been re-upholstered in a brown hide. With beautiful proportions they have a well carved central back support, a curved rail and deep scrolling arms. The front legs are turned and reeded and the rear legs are elegantly swept back. 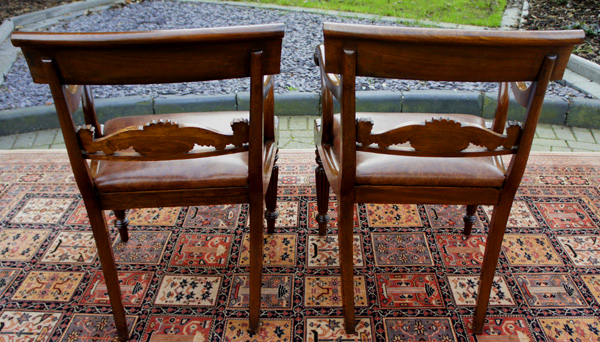 These good quality antique chairs are well proportioned and larger than most chairs of this type.